Canada’s trade minister says the government expects Canadian business interest in China to slow given current tensions, but he is confident the two countries will work through their differences and allow economic ties to again flourish. “It’s not an easy time. It’s challenging,” Carr said from Vancouver, where he was set to launch a week-long campaign to promote Canada’s newest trade deal, the Comprehensive and Progressive Agreement for the Trans-Pacific Partnership, or CPTPP. 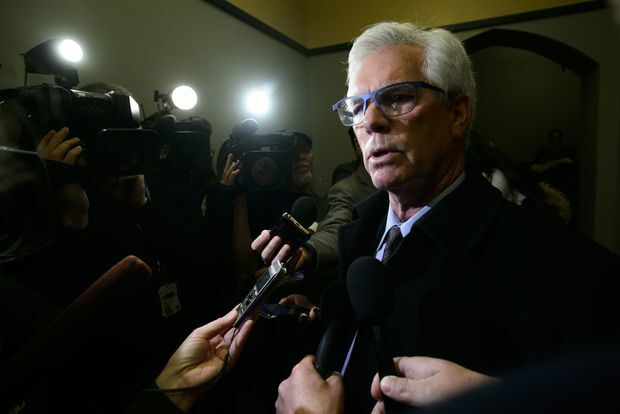 Jim Carr, Minister of International Trade Diversification, speaks to media following a cabinet meeting on Parliament Hill in Ottawa on Jan. 29, 2019.